It is a requirement of your Agreement, that the goods are protected against Theft and Accidental Damage. We can arrange Theft & Accidental Damage Cover for £1.55 per week. It is a requirement that products purchased on a credit agreement are insured. We can offer Theft and Accidental Damage Cover for £1.55 per week. This Electric Cooker has a simple design with chrome handles and knobs. Finished in black this cooker will look stylish in any kitchen. 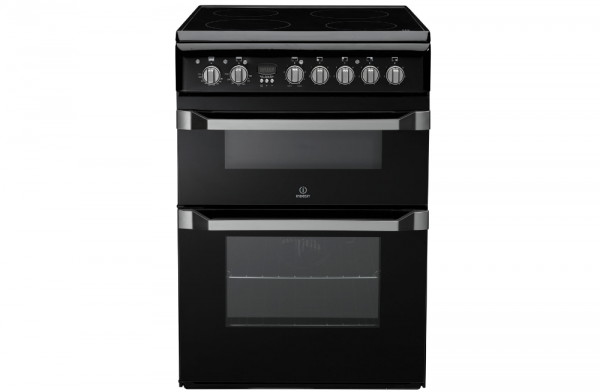 This cook features; a main electric fan oven that cooks food evenly on every shelf, a second electric oven with handy grill setting and ceramic hob heats up quickly and are easy to clean.